You can prevent serious damage to the foundation of your home & landscaping that is caused by falling water with expertly installed seamless gutters and downspouts from Crescent Gutter Works. 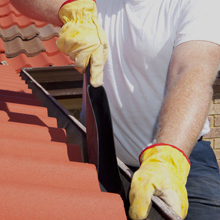 Why Hire Crescent Gutter Works? 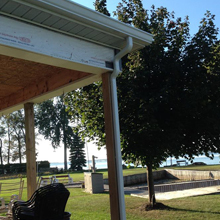 • Fabrication of gutters and downspouts done on-site. • Installs 6-inch gutters to handle more water. • Uses the heavier gauge .032 aluminum for gutters. • Custom bent downspout elbows. • Self contained, generator equipped fabrication unit. • Raytec Hangfast & Hangtite hangers for strength. • Raytec “REAL” brand gutter covers available for leaf protection. • GP Industries Zip Hinge downspout hinges available. Flip downspout up to mow or landscape. • Several colors choices for gutters and downspouts. • Adirondack Steel Works Snow Brake offered to protect gutters from ice damage on steel roof applications. With over 25 years of residential construction experience, Crescent Gutter Works has the skills and knowledge to provide you with high quality gutters. You can depend on our local family-owned and operated business for fine workmanship and affordable prices.